Sweet Guitar by Alliance at WA Tunes. Hurry! Limited time offer. Offer valid only while supplies last. 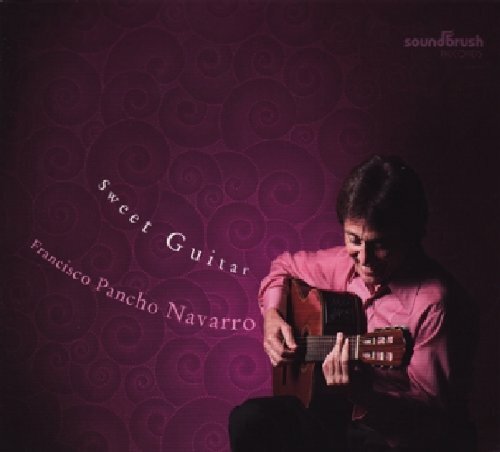 Sweet Guitar shines an overdue spotlight on one of Latin music's true guitar virtuosos - Argentine-born, New York-based Francisco Pancho Navarro. Sweet Guitar shines an overdue spotlight on one of Latin music's true guitar virtuosos - Argentine-born, New York-based Francisco Pancho Navarro. Navarro became a first-call Latin guitarist on A-list sessions - everything from the soundtrack of The Mambo Kings to hip-hop and reggae tracks. He is featured on Elliot Goldenthal's Oscar - winning soundtrack for Frida and he accompanied Plácido Domingo in a recording of Die Fledermaus made in 2003 at the Washington Opera. The Rolling Stones used Navarro on a 2006 remake of "I'm Free", and has worked with Victor Jaras, Celia Cruz, and Armando Manzanero. On this extraordinary recording, Navarro plays with a rhythmic and harmonic flair that few jazz musicians can equal; an elegance born of years of classical study; an arranger's sense of architecture; and a wealth of beauty, feeling and wit. Sweet Guitar is a diary of the music that shaped him, gathered during his lifelong travels through South America.